With advances in technology affecting every sector of the workforce, Eleanor O’Neill looks at why the big names in finance are joining in. Artificial intelligence (AI) has been implemented in multiple industries, from stock trading to hospitals, and Google has singled it out as the next big thing. As Uschi Schreiber, Chair of the Global Accounts Committee at EY, wrote earlier this year: “Leaders in every industry are responding to shifts that would have seemed unimaginable even a few years ago. The finance sector, given its heavy reliance on mass amounts of numbers and data, is a prime candidate for the automation offered by intelligent learning systems. But while this might mean great things for efficiency and digital transformation, many have raised concerns about robots taking the place of human employees. The driving motivations behind the installation of AI in business processes appear to be the greater speed, accuracy and volume capability of computers when compared to their existing human counterparts. 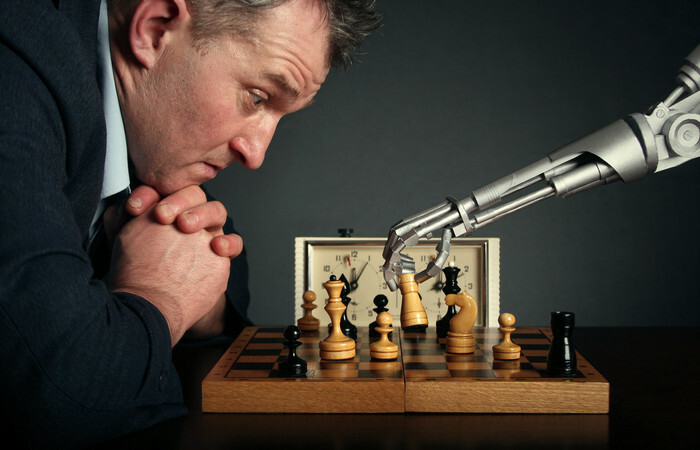 Many businesses are already using robotic process automation systems to crunch numbers and sift data on a daily basis. For example, Kensho is an intelligent computer system widely used by stock traders and investors to automatically analyse portfolio performance and predict market changes. The software is described as ‘the world’s first computational knowledge engine for the financial industry’. It claims to address Wall Street’s greatest challenge – automating and improving on previously human-intensive knowledge work to keep up with the split-second changeability of stock. Even the breaking down and translating of numerical data into colloquial terms no longer requires the input of a human operator, thanks to systems that learn with use to mimic personable patterns. UK-based Arria has developed natural language generation software (NLG) that is being used across a wide range of industries to humanise and simplify the analysis of data heavy reports. Arria’s Chief Technology Officer Robert Dale, said: “By emulating human behaviour in software, you get technology that can carry out tasks that are more than just straightforward number crunching, with the machine exhibiting real intelligence. The finance sector can receive particular advantages from this. An AI system can react and adjust for changes to an economy on the other side of the planet while its company’s human employees sleep. It can save days of historical data analysis by scanning reports and compiling results in seconds. Robert commented: “The standard data analytics that are available today just provide yet more numbers that are then presented via graphs, charts and other visualisations on dashboards. “A common theme you hear when you talk to people in finance is that they are drowning in data, but starving for information. It’s been said to be banks’ biggest weakness: they have all this data, but they have no hope of making sense of it. KPMG has been using innovations from McLaren Applied Technologies (MAT) in its audit processes since 2015. Predictive analytics allows for the automation of evidence gathering and the production of complex data reports, saving time and improving client services. Nick Frost, KPMG Audit Technology Lead Partner, said: “What we have done with McLaren has been key in addressing what is at the heart of financial statement risks for our clients, as evidenced by audit reports in the FTSE 20. “We are developing a really powerful suite of tools for our audit and non-audit clients that use the predictive analytics capabilities along with those within KPMG for applying technology to deliver to the marketplace. “For example, these tools really allow us to interrogate and assess and really challenge the predictions that underpin the valuation of assets on our client’s balance sheet. KPMG also have an alliance with IBM’s cognitive computer, Watson. Nick commented: “Watson Analytics is a really exciting ongoing development for the firm. “It can read many thousands of pages of contracts or agreements and very quickly summarise those, virtually instantly, based on whatever criteria you give it on what is and isn’t interesting. “And it will learn over time, that’s what is interesting, it will develop and be more useful next time. “Within the global firm we are developing various tools [with Watson] and piloting those in various ways and taking it forward. It will have a huge impact over the next few years. Deloitte recently announced a partnership with Kira Systems to aid in contract and document reviewing, something which underpins vital parts of the business. Kira works by using examples uploaded by the user as reference for accuracy, style and terminology in both English and Latin. Noah Waisberg, CEO of Kira Systems, said: “Artificial intelligence has arrived to a point where machines can scale human expertise by extracting information from complex documents. Deloitte-customised instances of the Kira platform, named Argus for audit processes and D-ICE in its consulting, have already been rolled out with further applications being explored for tax and advisory practices. This deployment helped Deloitte receive the Audit Innovation of the Year award from the International Accounting Bulletin. Ragu Gurumurthy, Chief Innovation Officer at Deloitte LLP, said: “Our approach to innovation is to use creativity and ingenuity in finding practical applications for the latest technologies. 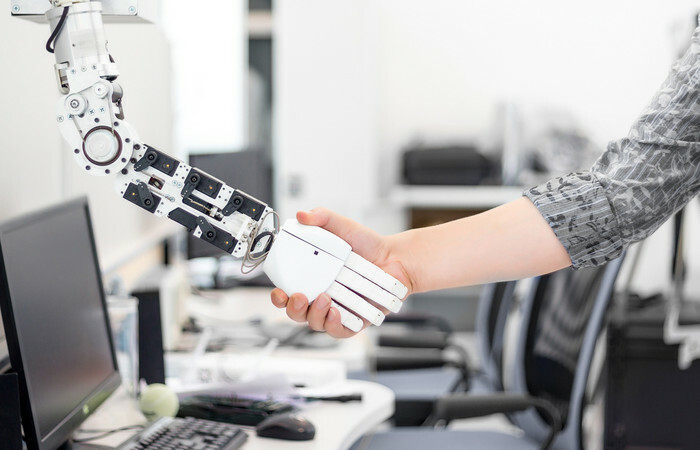 A report from Deloitte examined the impact we can expect, predicting the loss of nearly half a million finance jobs to automation but a significant economic gain in higher skilled employment. 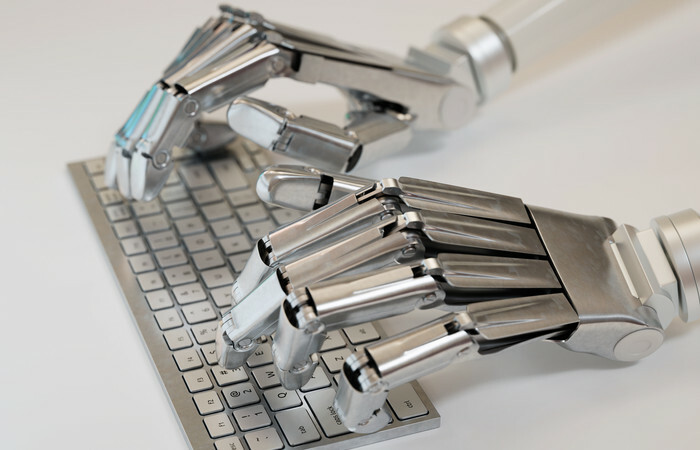 “More recent advances in technology, such as Robotic Process Automation (RPA), are affecting occupations where precision in repetitive tasks is essential, such as book-keeping or managing other financial processes. “As technologies mature, however, and machines become more able to perform tasks consistently in ways that compare favourably with those delivered by human labour, they will be called on to do more. “In these circumstances, businesses and public sector organisations are more likely to spend their time and money understanding how automation can augment their current operating models, as well as the implications for their workforce. At Arria, Robert believes: “Within five years, technologies for delivering information from data will be a major industry category, and the technology will be indispensable for any serious business. “We’ll see enterprises invest in information delivery ecosystems that span their entire operations, providing a unified AI-driven communications layer to all their stakeholders. 0 responses on "How is the accountancy and finance world using artificial intelligence?"